Below you can view all the highrises for sale in the One Queensridge Place subdivision located in Las Vegas Nevada. 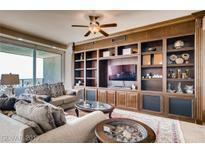 Listings in One Queensridge Place are updated daily from data we receive from the Las Vegas multiple listing service. 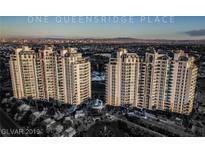 To learn more about any of these highrises or to receive custom notifications when a new property is listed for sale in One Queensridge Place, give us a call at 702-930-8014. Indoor/Outdoor Pool, Coffee Bar, Roman Men & Women's Spa, Massage Rooms & Fitness Center MLS#2086978. Char Luxury Real Estate. Own a one-of-a kind property, perfect for those with pets. MLS#2083101. BHHS Nevada Properties. Updated LED lighting adorn each room with custom ceiling soffits, zebra wood front door, built-ins, full-size washer & dryer. 2 car enclosed garage. MLS#2080876. Char Luxury Real Estate. If you are looking for fresh upscale living, you’ve found it. MLS#2078986. BHHS Nevada Properties. OQP features in/out pool, daily coffee bar, billiard, card & media room, gym & spa. MLS#2074606. Char Luxury Real Estate. This newly-renovated custom home in the sky features huge stone slab flooring, a spacious gourmet kitchen, formal dining with wine storage, family room with built-ins, living room with wet bar, 4 en-suite bedrooms, an office, separate his & her master bathrooms, and an extremely rare 4-car garage. MLS#2072412. Presenting Vegas. A large gourmet kitchen offers top-tier SS Viking appliances, along with an adjacent dining room with wet bar. Electronic shades thruout. MLS#2061229. Char Luxury Real Estate. Full size washer & dryer and 3 car garage MLS#2060882. Char Luxury Real Estate. Built-In Office, Home Theater & Private Elevator, 7 Terraces & 6 car garage. MLS#2036117. Char Luxury Real Estate. 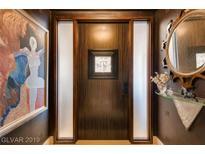 One Queensridge Place boasts resort style amenities! MLS#1962452. Char Luxury Real Estate.